I'm Tim Parker! Welcome to my repository of articles and other publications. I have been writing professionally for over 25 years and in that time have written more than 50 commercially-published books, over 3,500 articles and reviews for news-stand magazines, and written hundreds of internal company documents for a wide range of customers. For information on custom technical writing projects, click here. I can produce User Guides, Technical References, and Product Specifications with excellent quality. On-line help files, either in CHM or HXS format, are done for many customers. 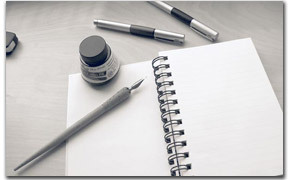 Press releases, Web site content, and any other custom writing tasks are welcome. For my main corporate site, visit www.tpci.com. For the utilities I have written and offer for sale, visit www.pixelutilities.com. For my training programs, visit www.parkertraining.com. For my musing on leadership and executive life please visit www.timonleadership.com. I have received a lot of requests to make some of this content available, so this Web site will do just that. Here you can browse through many of the articles that I have written and published, including several sets of columns I have written over the years. I prune this list regularly to remove content that is not viewed, and add more archival material at user request. Send mail to tparker@tpci.com with questions or comments about this web site. Copyright TPCI. All Rights Reserved.